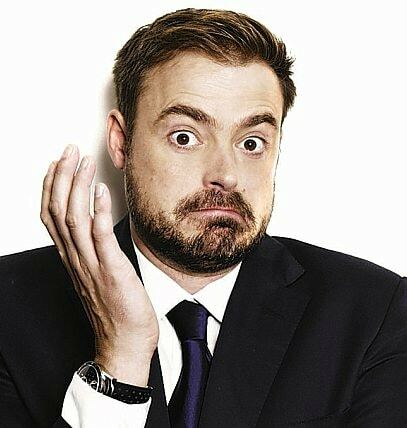 A respected TV and radio presenter, Jamie Theakston became a household name in Britain thanks to roles on mainstream terrestrial shows such as Live & Kicking, Top of the Pops and, more recently, through his presenting work on Heart FM. Jamie’s career kicked off after he teamed up with co-presenter Zoe Ball in September 1996 on the brash new Saturday morning show Live & Kicking on BBC1. It was an instant success, earning a BAFTA award and generating double the amount of viewers of any other Saturday morning show. After 3 fantastic years, Jamie decided to move forward and explore other projects. He landed his first main TV presenting role on BBC2’s The Ozone in 1999, after acting as a regular host on iconic BBC1 show Top of the Pops in 1998, which saw him interview stars such as Madonna, David Bowie, Tina Turner, Oasis and the Spice Girls. 1999/2000 also saw Jamie play himself in two series of the mock-interview show Rock Profile for UK Play, in which he interviewed “celebrities” impersonated by Matt Lucas and David Walliams. This also led him to appear alongside Lucas and Walliams in an episode of the much acclaimed BBC1 series Little Britain. Stage success soon followed in 2002, with Jamie taking on the lead role of ‘Serge’ in Yasmin Reza’s smash hit play Art, produced by Sean Connery. Taking on a role previously performed by such theatrical luminaries as Tom Courtney, Nigel Havers and Art Malik, Jamie attracted widespread acclaim for his assured performance. His second theatre project soon followed – playing Frederick Lowndes in Somerset Maugham’s comedy drama Home and Beauty at the Lyric Theatre, London which also received rave reviews. This was the resurgence of a long-held interest for Jamie – he was a member of the National Youth Theater in his teens until he put aside thoughts of drama school to undertake a Business Studies degree. More acting offers followed, including a guest appearance in the highly rated BBC1 comedy drama Linda Green and, in 2003, Jamie undertook his first major acting role in BBC1’s Murder in Mind. His love of film also saw him host Sky’s live coverage of the Oscars. Jamie is currently filming a third series of Forbidden History for the Yesterday Channel; a series he has fronted since 2013 to much acclaim. The programme uncovers the truth behind great historical myths, conspiracy theories, ancient treasures, lost civilizations and war time secrets. Jamie’s long established relationship with Heart 106.2 FM began in 2005, when he started co-hosting the station’s flagship breakfast show alongside Harriet Scott. He continues to present the hugely popular weekday breakfast slot to date, with new co-presenter Emma Bunton. Jamie and Emma spent the summer of 2013 presenting ITV’s This Morning, which was the perfect extension to their early mornings and really cemented them as the faces of breakfast and daytime. Jamie lives with his wife and two sons in West London and has a keen interest in property and interior design, regularly renovating his properties. Jamie is available as a host.